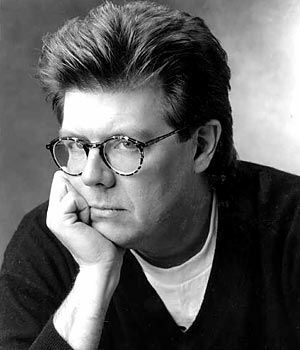 John Hughes, who wrote and/or directed such iconic films of the '80s as Sixteen Candles, The Breakfast Club, Weird Science, Pretty in Pink, Ferris Bueller's Day Off, Some Kind of Wonderful, Planes, Trains & Automobiles, She's Having a Baby, and Uncle Buck, as well as the "Vacation" and "Home Alone" movies, has died at age 59. Prolific film writer and director John Hughes ... died of a heart attack while walking in Manhattan on Thursday, his spokesman said. He was 59. ...His spokesman said Hughes was visiting friends in New York when he died. In the last decade, Hughes had largely turned his back on Hollywood to run a farm in northern Illinois. He is survived by his wife of 39 years, Nancy, two sons and four grandchildren. Hughes' oeuvre was such a big part of my childhood, and while, as an adult, I've come to find some of the themes in his films problematic (example), there are many characters in his films with which I still strongly identify and about whom I still feel quite affectionate. Allusions to and quotes from his films still pepper my conversation with my generational cohort to this day, and I've found that to be true across gender, sexuality, and racial lines. Almost all my friends of a similar age, irrespective of their individual backgrounds, seem to be fluent in Hughes. The privilege which divided the (white) kids in his films was almost always privilege in the classic sense: Class privilege. Cliquishness stood in for wider social divisions, and the themes of being inside or outside spoke strongly even to many people who didn't find people who looked like themselves in his films. There was never a fat girl to be found, but they somehow spoke to my feelings, my angst, about being a fat goth girl all the same. Which is not to apologize for his failures re: inclusion. It is only, in this moment, to note that he managed, despite that failure, to speak to people beyond those who closely mirrored his protagonists. His films will ever remain, for all their flaws, an indelible part of my life. And many others' lives, I expect. RIP Mr. Hughes. I'm going to go hang a Cabaret Voltaire poster on my wall in your honor.